The Big John Studd death story shows another well respected star, gone before age 50. 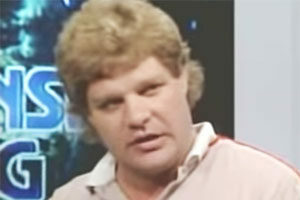 From 1982 to 1986 and from 1988 to 1989, John Minton was one of the most well known wrestlers in the WWF. Although he wrestled under the names Captain USA, Chuck O’Connor, the Executioner #2 and The Giant Stud, he is most popularly known as Big John Studd. 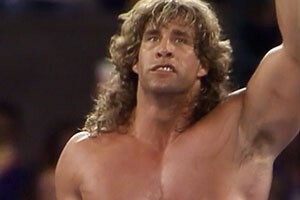 During Studd’s heyday, he was one of the biggest rivals of both Andre the Giant and Hulk Hogan. Unfortunately, Big John Studd’s death occurred much too soon at the age of 47, leaving fans and the wrestling community deeply saddened. The Big John Studd death story began long before the star’s date of death in 1995. Determined to be one of the biggest wrestlers in the WWF, Big John Studd began taking human growth hormones back when he was actively facing off against Andre the Giant in the ring. Because he was concerned about being a role model to kids, Big John Studd did his best to keep his drug use a secret, only admitting to close friends that he was taking substances to increase his body mass. Although Big John Studd was largely retired by the 1990s, he would occasionally step into the ring. In 1993, he was training to fight wrestler Killer Kowalski in a special match. The wresting star had complained that he was feeling more tired than usual, and at first chalked it up to fatigue from getting back into the ring. Then, he discovered a lump under his armpit while he was hitting the showers. He was dignosed with a form of cancer called Hodgkin’s disease, and a second tumor was located in his chest. The general opinion of his physicians was that the use of human growth hormone years before had led to the development of the cancer. Although the doctor gave him only a month to live, John was not willing to go down without a fight. He underwent emergency surgery and was told there was only a 7% chance that it would work. Amazingly, it did, and the wrestler’s cancer went into remission. As is often the case with Hodgkin’s disease, Big John Studd’s cancer returned and spread to his liver in 1994. He went through rounds of chemotherapy and was reportedly unwilling to give up. Even when he was admitted to the hospital for the final time, he told close friend, wrestler Billy Graham, that he would be out in a few days; however, he would never be released from the hospital. Big John Studd’s death occurred on March 20, 1995. Although the Big John Studd death is now two decades in the past, his memory lives on amongst fans and friends. 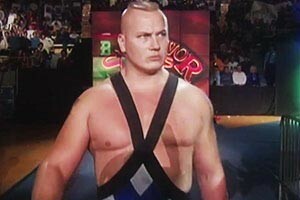 In 1995, he was inducted into the WCW Hall of Fame, and the WWE Hall of Fame added his name to its ranks in 2004. Big John Studd’s grave is located at Saxonburg Memorial Church Cemetery in Saxonburg, PA. The plot is located at New Saxonburg, Section 2 North. Have a comment about Big John Studd? Sound off in the comments below!